I have had CML for almost five years. During this time, after being hospitalized for treatment in the beginning, I have been on varying doses of Sprycel. My PCR has remained at a manageable level throughout these past five years, even reaching a undetectable state, twice. I have suffered from a revolving list of side effects, some minor, others more extreme. They seem to come and go, with my quality of life being mostly satisfactory, for someone that lives with chronic cancer. One of the most annoying, and recurring, side effect has been pleural effusion; this is a build up of fluid in the sac around your lungs. Most often this occurs when my oncologist and I decide to increase my Sprycel, in order to achieve a more desirable PCR. It has been a balancing act for five years. 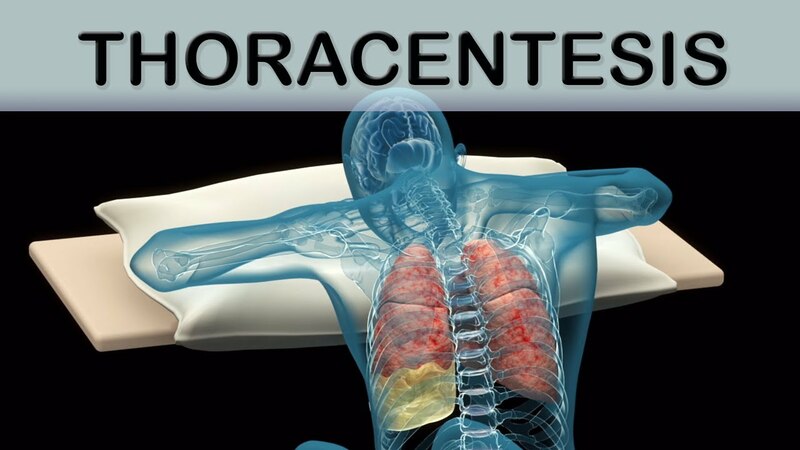 During the past six months, I have been on 140 mg of Sprycel, six days a week; certain that I would develop pleural effusion. After seeing my oncologist, I did not disappoint; pleural effusion in both lungs, which results in a Sprycel vacation. Not necessarily a bad thing! Still waiting for my PCR result which will be all telling; will the increase in Sprycel have been worth it? Flip over to my "other" medical history; borderline serous ovarian tumors, removed ten years ago. I follow up once a year with a gynecological oncologist. Part of my routine exam consists of a blood test called a CA 125. Apparently a reading below 35 is considered "normal" My last two tests (even though I was never informed that two years ago it was 202, and elevated) were both elevated. 2014 result 202, 2015 result 121. While it would appear that a drop in the CA 125 from one year to the next, is a good thing; it is still above the normal range. This led to a CT scan to rule out any tumors in my abdomen as abnormal cells are still there, following my complete hysterectomy, ten years ago, due to the ovarian tumors. Sooooo, my most awesome internal medicine physician and I decided that it would be beneficial to drain any remaining fluid, after my Sprycel break, and have it analyzed, hopefully ruling out abnormal cells, which would likely be from the ovarian tumors. The spiculated nodule and CT films will be reviewed by a pulmonologist committee next week. 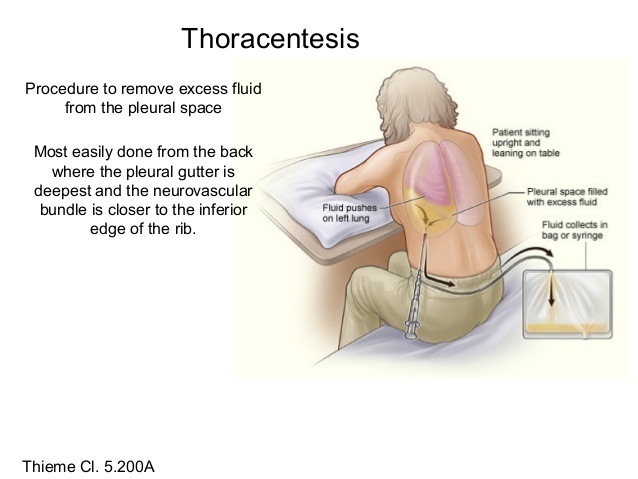 In the meantime, I had a procedure called a thoracentesis. Of course, I was freaked out; both for the procedure and the results! I had one bone marrow biopsy without sedation and that was excruciating, which led me to be wary of this procedure, too. 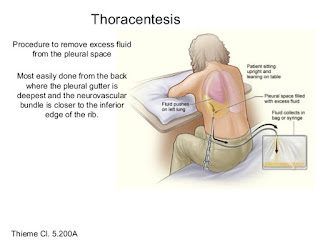 I did not know much about it, other than they stuck a needle between your ribs and into the pleural cavity; then sucked out the fluid. Upon arriving for my appointment, I was indeed informed that I was correct in my assumption of the basics of the procedure. What I can tell you, however, is that it truly was not nearly, as uncomfortable as I had anticipated. The first thing they did was an ultrasound to assess which lung they would drain. Surprisingly enough it was my left lung; the one that had the least fluid, two weeks prior on the CT scan; the right lung was nearly empty of any excess fluid. After answering every single question that I had, to my satisfaction, they began the procedure. I was sitting on a table, leaning onto a pillow that was elevated with a ladder! First they determine, through ultrasound where they will enter your chest; and they mark it. Then they used some sort of C02 cartridge to numb the skin; feels a bit like being snapped with a rubber band; numbness quickly spreads to the area. Throughout the procedure, the technician kept me informed of everything he was doing. At one point I asked if the worse part of the procedure was over and he said "Yes" we are almost done. I could hardly believe it. After he pulled the catheter out, I had a major coughing fit! He said that it was normal, as the lung refilled so quickly. I was quite surprised at how much better I could breath; Duh! I asked him about the color of the fluid and what range of colors were "typical" and how much fluid he removed; 500 plus ml. It was shocking to see the amount of fluid in the canister, along with two syringes of 50 ml each. We all did a swirl of good luck over them, before he sent them to the lab. I have to say, that I walked out or there with a smile on my face! All in all, the procedure was a piece of cake; as with all medical procedures, make certain that you are entirely comfortable with what is being done to you. Understand the process, the risks and the benefits. I went as far as to tell the scheduler that I wished to speak to the head of the department; I told them that I wanted the best technician to perform the thorasentesis. I told them that I wanted the one who had punctured the fewest lungs and caused the least infections, and that I knew they had statistics on that sort of thing! Of course, I was very nice about it! And she even laughed; I told her to schedule me with the person she would send her child to. Remember to always stand up for yourself and express your fears and insist that your questions are answered. Here is to normal results! Due to the hard work many people suffered from the back pain. The back pain also effects on the nervous system of the man and also decrease the efficiency of the man working abilities . In this condition Physiotherapy North Ryde is the best therapy .